This morning dawned warm and sunny. 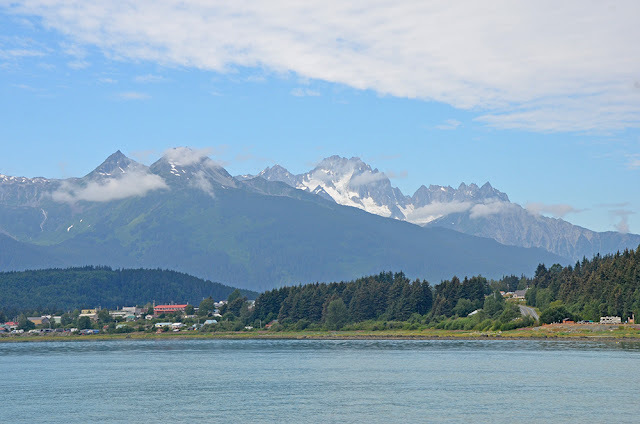 We made our way to Haines, just a few miles away, and met up with friends Laura and Kevin on Airship. 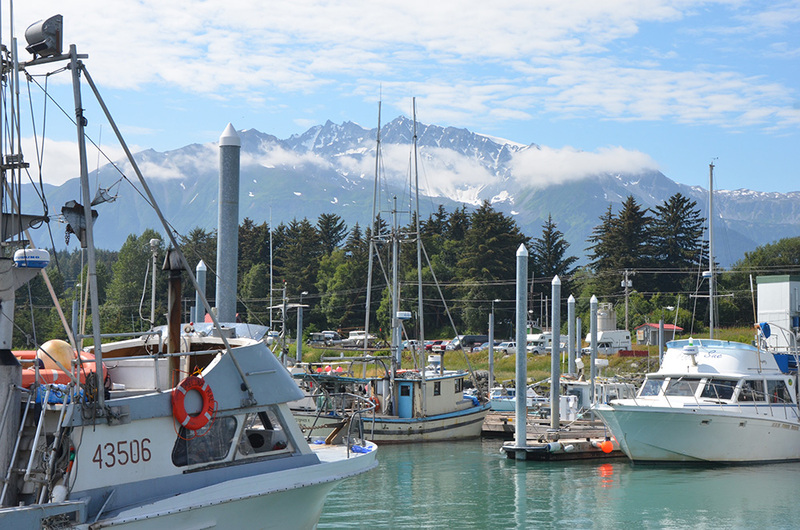 Haines might just be the most beautiful port on the entire coast. Jagged peaks, reminiscent of the Tetons, surround the town. Perhaps a dozen glaciers are visible. No matter which direction you look, the view is outstanding. Haines is everything Skagway isn’t—authentic, charming, relaxed. There were tourists to be sure, but not the cruise ship type. RVers, cyclists, backpackers. A much more independent crowd. We visited the local Hammer Museum, apparently one of just two hammer museums in the world. They had 1700 hammers on display, ranging from sledgehammers to beef tenderizers to ball pein hammers (did you know there are a half dozen correct spellings of pein?). I was surprised by the variety of hammers, and the devotion to hammers that the curators have, which extended to the music choice…MC Hammer, of course. Then we got hammered…just kidding, but we did visit the local brewery (spruce tip ale was surprisingly delicious) and distillery. Then happy hour and dinner on the top of Safe Harbour. Did I mention the weather? Sunny and warm…the first shorts weather in weeks. Hardly a cloud in the sky.